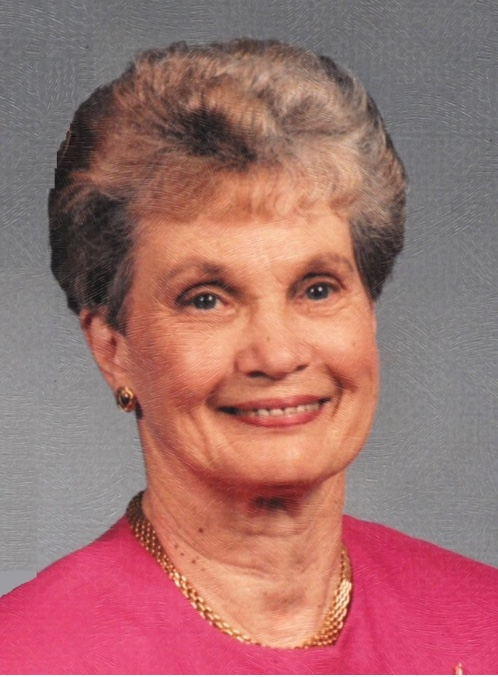 Pauline Elizabeth Moore Dillon (known as Polly), 91, died peacefully on February 1, 2019 in Mars Hill, North Carolina. She was born on March 6, 1927 in Corbin, Kentucky. As a teenager she moved to Birmingham Alabama, where she lived most of her adult life and raised her family with her husband, Joseph (Joe) Dean Dillon. She moved to the Asheville, North Carolina area in 2008. She was preceded in death by her parents, Nora Tuggle Moore and Chester Garfield Moore; her husband of 61 years, Joseph Dean Dillon; her brothers Edwin Douglas Moore, Harold Hildreath Moore and Donald Leroy Moore; and her sister, Doris Jan Rose Moore Rayburn. She is survived by her two children, Jane Yuovvne Dillon Rankin (Bob), Gulf Shores, Alabama, and Joseph Dean Dillon, II (Heather), Weaverville, North Carolina; four grandchildren: Benjamin Logan Rankin (Beth), Murfreesboro, Tennessee; Christopher Brian Dillon (Cheryl), Weaverville, North Carolina; Kari Elisa Dillon Alvarez (Eric), Candler, North Carolina; Jennifer Erin Rankin, Birmingham, Alabama, and 8 great grandchildren: Haley Dillon, Savannah Alvarez, Sierra Alvarez, Kira Rankin, Karis Dillon, Judah Dillon, Jack Rankin, and Ava Alvarez; 2 sisters: Sylvia Ruth Moore Walker and Wanda Marie Moore Billings; many nieces and nephews, great nieces and great nephews. Her funeral service will be held at 2:00 p.m. on Thursday, February 7, 2019 at Currie-Jefferson Funeral Home, 2701 John Hawkins Parkway Hoover, Alabama 35244. Visitation will be at 1:00 p.m., just prior to the service. Graveside service will be at Jefferson Memorial Gardens, South, immediately following the funeral.